Josh I offer you my sincerest commiserations, over the unexpected and tragic loss of such a cartoonable character, from cartoon science. Pachauri's given medical grounds to the police as reason for avoiding arrest - "urinary tract infection"
Urinary tract infections are uncommon in males. I'm sure the police have doctors who can treat it. Yes, urinary tract infections are very common. but they usually pass within a few days or can be easily treated with a course of antibiotics. "Urinary tract infections are uncommon in males." Not if he's a diabetic ,or if he's been doing research for another novel. Sadly not so in the elder male with HBP. Has he not blamed it on climate change yet? How can we tell who the real Patchy is? Perhaps the one who has been running the IPCC for quite a while now is the fake Patchy. I guess prostate enlargement and possible diabetes could account for the infection. He has been admitted to the cardiology division as well. One wonders how he was all set to travel to Nairobi. I just looked up the name of Pachauri's book on Amazon. Aha.... it's 'Return to Almora'. Also recommended is a 2006 book by one Tony Blair and a co-writer, 'Avoiding Dangerous Climate Change' - a snip at a mere £134.99. I didn't know Tone was an expert on cwoimurt choinge. The sycophantic Roger Harrabin (BBC website) whines that the new hoaxer in chief will have a gruelling job "whilst suffering relentless attacks from campaigners challenging climate science". Remember that this is Pachauri: The veritable conductor of the climate gravy train. Feb 25, 2015 at 12:36 AM | Ron C.
BBC's usual lying by omission ? "Why can I hear the theme tune to Benny Hill?" - The IPCC new head ? Perhaps Vladimir Putin will come down himself to take charge instead of leaving it in the hands of his minions ? Brilliant in depth analysis by Roger Harrabin! Hmm... no trolls today. I miss their hysterics. Russell, ATTP, etc, please engage so we can find out what you've been instructed by the "experts" to think and say about all this. 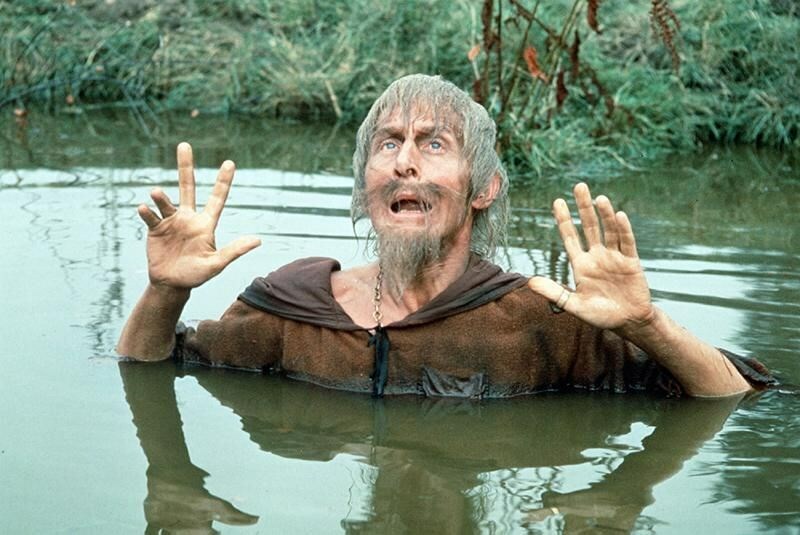 I always thought he looked more like Catweazle, as shown here modeling sea level rise. Funny how these scamsters always claim they are "ill" when they are finally caught out. Can't help telling another lie. Does anyone know who Greenpeace are going to choose as the new IPCC boss ? - It won't be Prof Ann Glover, she has integrity and is available. But very common amongst males who have been treated in an NHS hospital where the treatment has involved catheterisation. Due to lack of elementary hygiene. Budgie normally science welcomes 'challenge' , that is after all how it develops. Its only 'falsely claimed settled science' , snake oil sales man and religion that rejects the idea of being challenge. You decide which of those Harrabin thinks the IPCC is . Will Patchy go for the Clinton lie? Ha! He's a loss Josh, be fair. Nobody does Moses as well as Patch. Who'd have thought that Patchys novels were actually his autobiography?